The Parisi Speed School mission is truly a global one and it was fantastic to meet and speak with coaches who have the same passion for helping young athletes reach their goals. Bill Parisi, Founder of the Parisi Speed School, recently lectured and performed workshops in Beijing and Guangzhou, China. Over the course of six days, Coach Parisi traveled more than 20,000 miles to work with youth sport coaches throughout China and spread the company’s vision of empowering youth through increased fitness, confidence and performance. 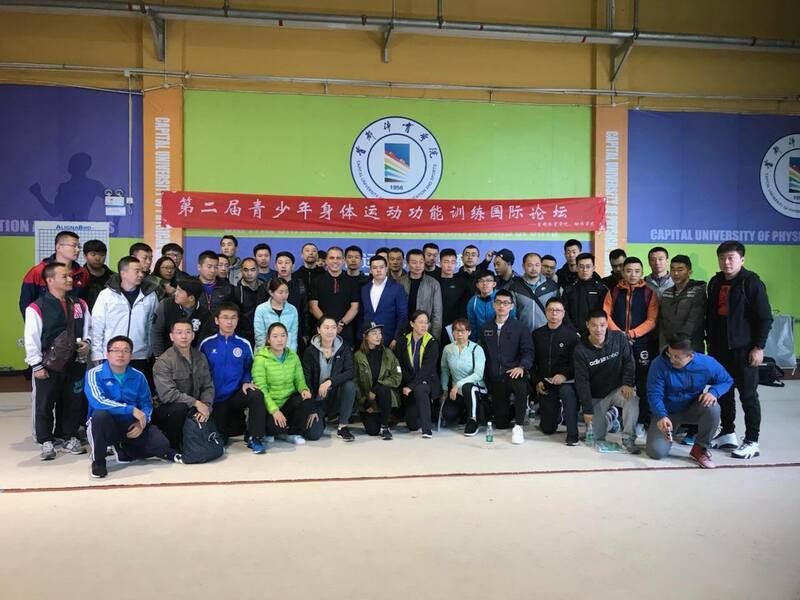 “It was an honor to share with the Chinese coaches how we educate and motivate the youth in the United States to be their best in sports and in life,” said Bill Parisi. A Chinese business delegate recruited the Parisi Speed School for their cutting-edge training methodologies and unique delivery and motivational strategies on how to help children improve their speed and athletic performance. Bill says his three secrets to success are recruiting great people to work around you, always getting right back up after you have been knocked down, and to never stop learning and believing in yourself. Bill knows this himself first hand, founding the Parisi Speed School 25 years ago in Wyckoff, NJ out of a $500 van and $50,000 in debt. After facing his own obstacles throughout the years, the company now has more than 100 locations in the U.S. and is widely considered as the preeminent authority on youth sports performance in the United States. Coach Parisi looks forward to growing this relationship and sharing his stories and experiences, while at the same time helping to have a positive impact on more youth athletes worldwide. Founded in 1992 by Bill Parisi, our mission is to strive to be the industry leader in performance enhancement and continue to deliver a positive training experience that improves speed of movement and strength in character regardless of ability or economic status. Over the past 25+ years, Parisi Speed School has grown to over 95 locations in 30 states and has trained more than 600,000 individuals. For more information on joining a Parisi Speed School or owning your own franchise, visit http://www.parisischool.com. Bill Parisi, Founder of the Parisi Speed School, in Beijing and Guangzhou, China.